Good. The cover has visible markings and wear. The pages show normal wear and tear. There is a signature or handwriting on the inside front cover. Fast Shipping-Safe and Secure Bubble Mailer-From New Hampshire! Very Good. Very good condition. Clean text without highlighting or underlining. Tight spine. 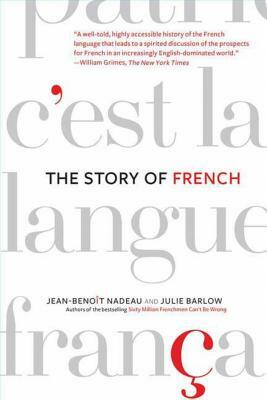 While 60 million Frenchmen Can't be Wrong (by the same author) is a look into french culture, this book is a terrific resource for french language enthusiasts who really want to get stuck into the history of the language. Naturally the book offers a useful cultural insight, but this book is more for those truly passionate about the language, and curious about its origins. Even the most advanced learner could have a lot to learn from this book. An absolutely fascinating read on where French comes from, and how the language permeates a great deal of everyday life for people around the world. Highly, highly recommended, but only for the french language and/or history enthusiast. Should probably know at least basic french first, otherwise some of the stuff could go over your head.